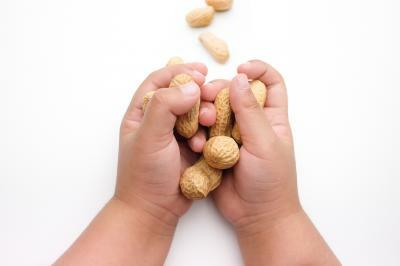 A small clinical trial in Australia could have large ramifications for the peanut allergy population. In a trial performed by the Murdoch Children's Research Institute, 48 children were given increasing amounts of a probiotic along with peanut protein once daily for a year and a half. At the end of the test, 82% were deemed tolerant and 70% had long-term tolerance 4Ys later. This brings us to another issue that seems to require the tolerance of bankers. Late last year the OCC said it planned to issue special purpose national bank charters to fintechs that seek them. That lit a fire in the banking industry and state regulators also jumped in as all seek to play active roles in this potentially ground-breaking matter. In response to the OCC's proposal and its publishing of a draft of licensing standards on Mar 15, the Conference of State Bank Supervisors (CSBS) filed a lawsuit against the OCC arguing that the regulator's plan to issue special purpose national bank charters to fintechs exceeds its authority. According to the CSBS complaint, if the OCC were to issue special purpose national bank charters to fintechs, thereby enabling those companies to originate loans and directly access the payment system without the need for help from third party banks, the regulator would be far exceeding the powers it was originally granted by Congress. The main issue is that the CSBS believes taking deposits remains a key criterion for any bank given a charter by the OCC. In fact, the CSBS's complaint specifically notes that whenever the OCC has tried to issue special purpose national bank charters to nonbanks in the past, the federal courts have kept it from doing so. Yet, despite the CSBS' assertion that state authorities have done a sufficient job regulating nonbank companies including fintechs for years, the OCC is holding tight to its opinion that it should have the right to issue such charters. CSBS also announced its Vision 2020 for Fintech and Nonbank Regulation in the beginning of May, showing a high level of involvement with this critical issue. Given new programs in Vision 2020, the CSBS hopes to "transform the licensing process, harmonize supervision, engage fintech companies, and make supervision more efficient for third parties" among others. At the end of June, they kicked off these initiatives by starting to assemble a fintech advisory panel. Final panel members will be decided in the near future. Also in June, the OCC added more information around the fintech charter at an ABA Forum. It said the charter proposal was often discussed only in terms of fintech charters to allow them to compete with banks, but in fact it was drafted with a broader plan in mind. The OCC wanted to indicate to banks that they could work with and/or partner with fintech companies to help them innovate. Further, fintech companies would be held to the same set of standards as all national banks, such as compliance risk and liquidity requirements. Given new leadership, the OCC recently confirmed its intention to actively fight the CSBS lawsuit, as well as an additional lawsuit that was filed over the matter by the NY Department of Financial Services on May 12th. Clearly, this matter will take time to unfold as parties jockey to present what each one believes is best for the future of banking and innovation. We will bring you all of the nutty updates as they occur and as the saga continues. Yields hopped up 4bp with the introduction of a congressional fiscal plan that addressed the debt ceiling and calmed investors. It has been forecasted that only about 50% of all new account sales will happen in the bank branch by 2019. CEB has coined this "the digital tipping point" -- the point when financial institutions will need to switch gears and focus more on digital capabilities than on their bank branches to continue sales growth. 1) Advia Credit Union ($1.4B, MI) will acquire Peoples Bank of Elkhorn ($230mm, WI) for an undisclosed sum. 3 FHLB Dallas ex-execs were charged by a federal grand jury with conspiracy to make false statements, as they were reimbursed for fraudulent expenses that included charging for first-class airfare, limousine services, concerts and other things. They are also each charged with additional counts of fraud. Conspiracy to make a false statement can lead to 5Ys in federal prison and a $250,000 fine. China's central bank announced Initial Coin Offerings (digital token sales) are now illegal and prohibited and may not be used as currency. Banks are also not allowed to offer any services to companies operating in this area. With inflation under 2% and the effects of Hurricane Harvey still uncertain, Fed Governor Brainard said the speed of interest rate hikes may need to slow. Research by AML software analysis company Chainalysis finds about 10% of Initial Coin Offering money was taken by thieves this year. Research by S&P Global Market Intelligence of banks & thrifts with >$1B in assets that trade on public exchanges finds the median price to adjusted tangible book value was 1.855x at the end of Aug. This was the lowest level since Nov 2016. The 10Y Treasury yield backslid to mid-November, diminishing the gap between short and long-term rates to the smallest amount since 2007.